Bulk Category 3 Cables - Cat 3 Telephone cable is designed to reliably carry data up to 10 MB/sec with a possible bandwidth of 16 MHz. UTP (Unshielded Twisted Pair) cables are found in many Ethernet networks and telephone systems. 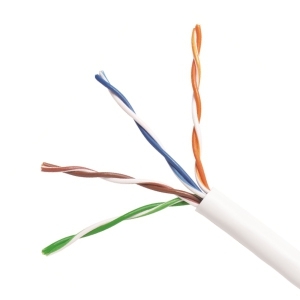 Our UTP CAT 3 cables exceed EIA/TIA 568 B.2-1 standards and are color-coded for easy identification.